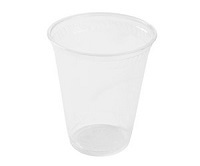 Looking for an eco-friendly alternative to styrofoam plates for your next party? Look no further! 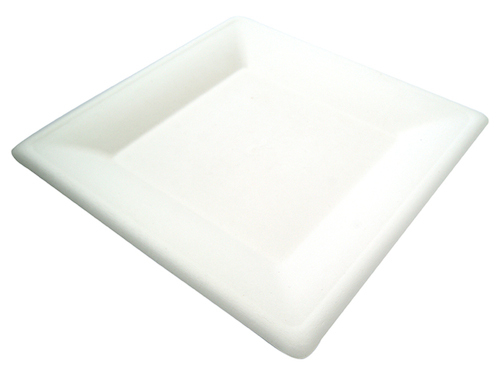 These sturdy, compostable plates are strong enough to handle any type of cuisine and they are fully compostable and biodegradable. Microwave and freezer safe. Plates are white in color. Perfect for side salads or light bites! 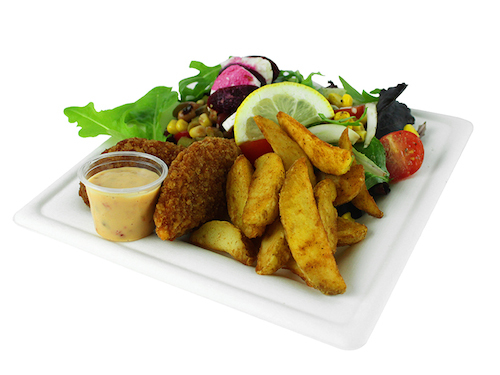 Made from a mix of natural fibers, including reed, bagasse (the waste fiber from pressing sugar cane), straw and wood pulp, these plates offer a true eco-friendly alternative to Styrofoam. No trees were harmed to make these plates and they're bleached with hydrogen peroxide, which means no harmful chlorine in our water supply! Pressed in a high-heat, high-pressure process, these plates can handle hot, wet or oily foods. They are soak proof, have no plastic or wax lining applied to them and can be used for both hot and cold items. These plates are made from renewable, natural fibers. For this reason they are a better alternative to plastic or styrofoam plates. These compostable plates will biodegrade within 30 days in a commercial composting facility, and within 90 days in a home composting system. Manufactured by an European company that operates globally and they are well known for award winning innovations. Their products are of highest quality in USA. Who doesn’t love a good Gingerbread House Decorating Party? This is one of my favorite parties to host during the holidays. Sometimes I even make it a big competition for everyone! I’m going to tell you all about the eco-friendly tableware I use for this party - as well as festive decorations and favors. Do you plan to celebrate fall with a gorgeous wedding or a stunning party? I've got some great table setting ideas for you. All of these ideas are eco-friendly and use tableware from Ecopartytime. These table settings will also feature all of Ecopartytime’s best tableware - from Palm Leaf Plates to White Compostable Bowls.